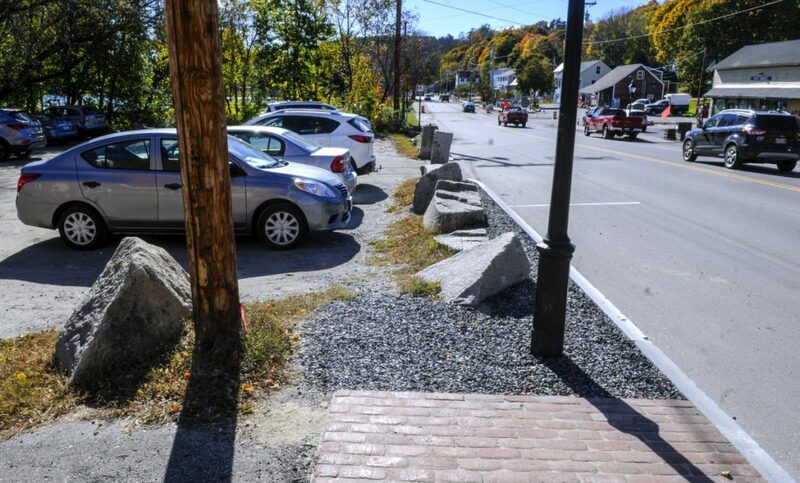 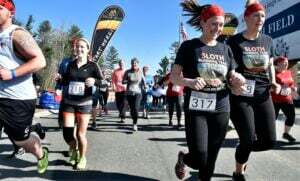 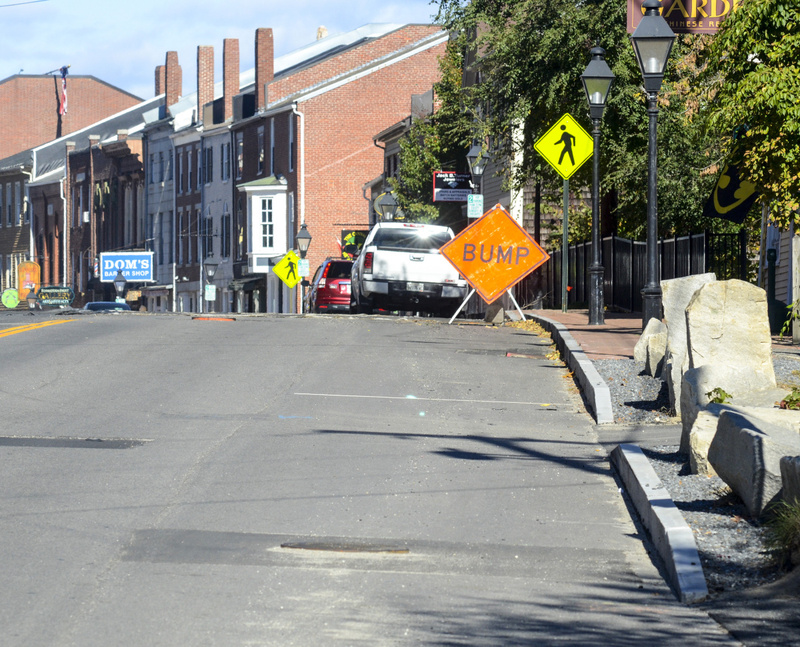 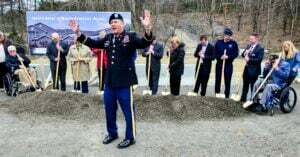 The new sidewalk ends at the Lucky Garden restaurant parking lot on Monday, Oct. 22, on Water Street in downtown Hallowell. 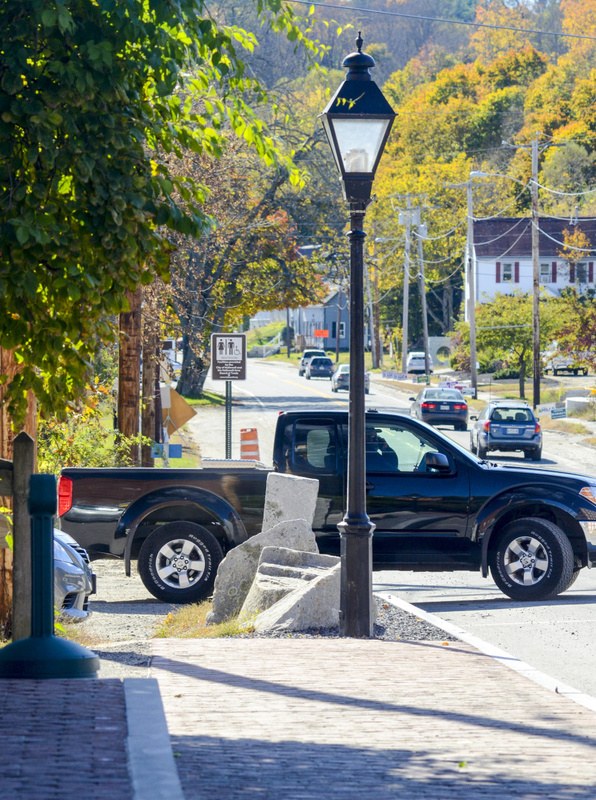 Vehicle leaves the Lucky Garden restaurant's parking lot on Monday, Oct. 22, on Water Street in downtown Hallowell. 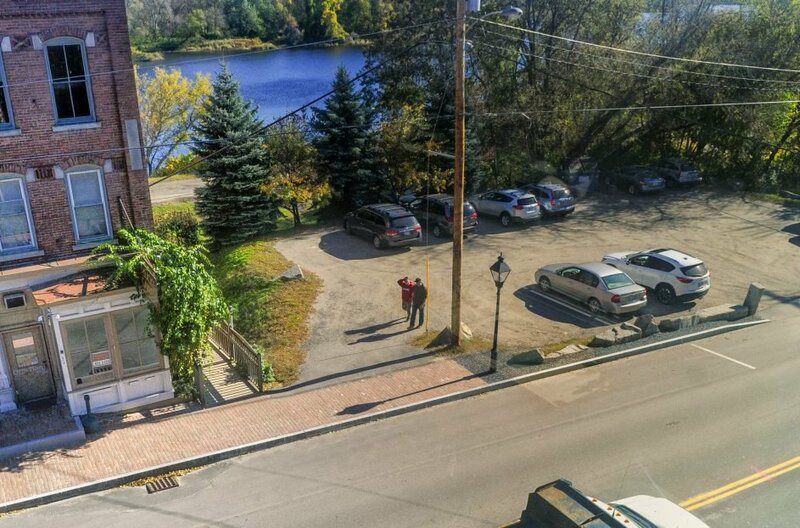 A vehicle enters the Lucky Garden restaurant's parking lot on Monday, Oct. 22, on Water Street in downtown Hallowell. 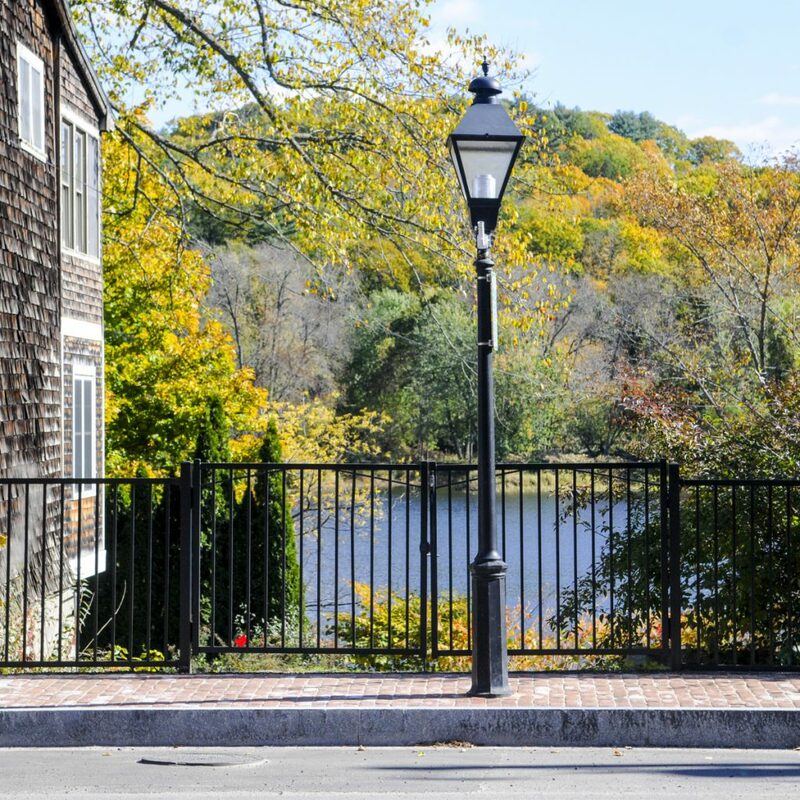 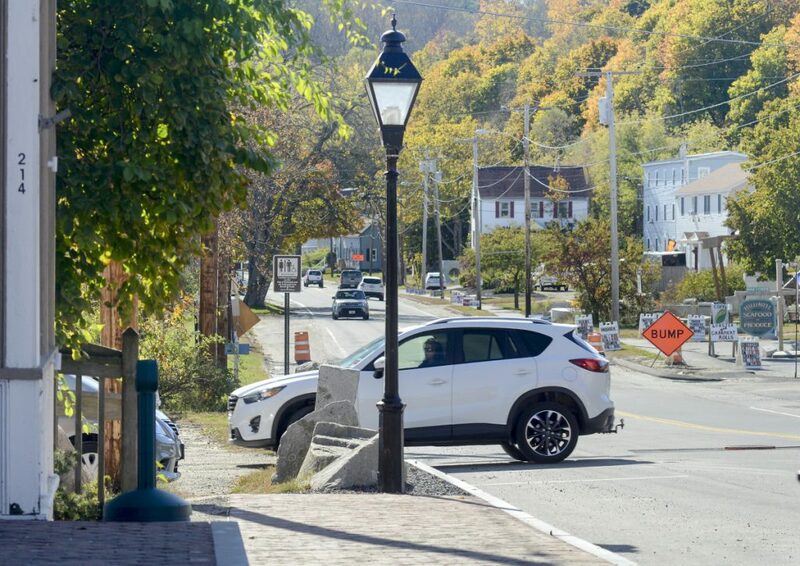 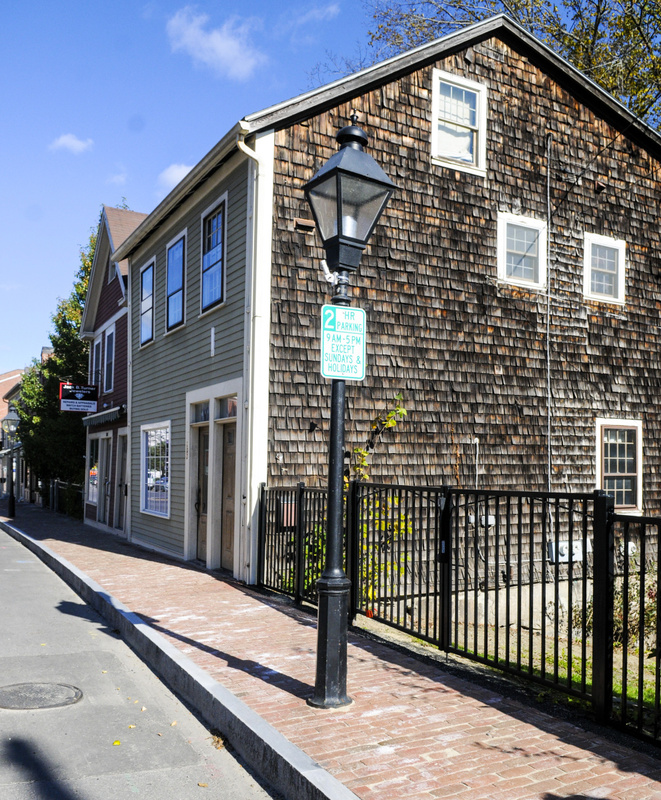 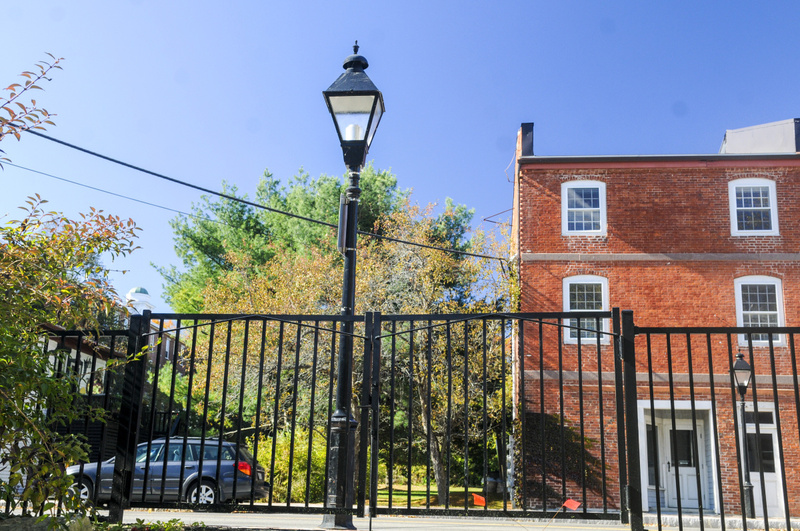 A lamppost stands in front a gate on Monday, Oct. 22, on Water Street in downtown Hallowell.